Handheld mixers are one useful appliance to have in every kitchen. they are ‘handy’, and make it relatively easy to mix ingredients together and can be used by anyone, they also come with the added advantage of being lightweight and easy to use. The market is currently loaded with a wide range of competitive brands, so homemakers often find it difficult to make the decision for the best one. Top-rated electric hand mixers often differ by the speed settings, attachments, motor power and of course, price. When you love to bake a variety of recipes, it is important to make detailed analysis before buying a electric hand mixer for your kitchen so that it can serve your needs without destroying the taste of recipes. In this article, we have reviewed and rated the five most popular electric hand mixers for baking from the best brands that are already graded high for their outstanding properties and performance. I hope those reviews help you solve your handheld mixer buying woes, and you be able to find the best model, that fits your cooking style, budget and needs. 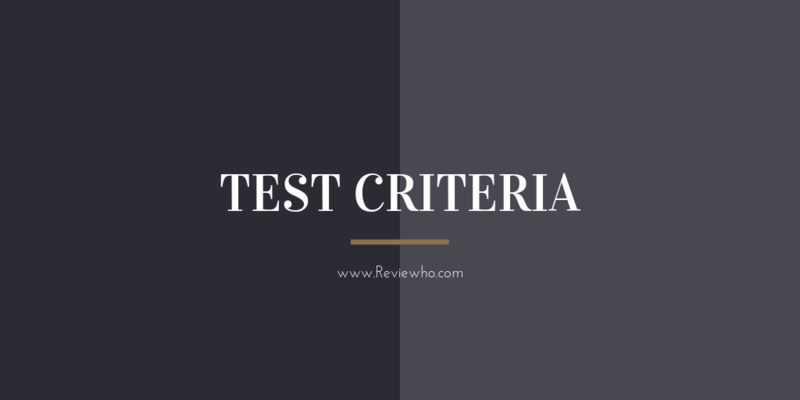 So, what is the best rated hand mixer to buy in 2019? The Best 3 Electric Kettles For The Perfect Cuppa. When it comes to mixing ingredients, the Cuisinart HM-90BCS Power plus is ideal for that purpose. It easily combines ingredients for making cookies, breaking down vegetables etc. Cuisinart has always produced kitchen appliances of top-notch quality and this is no exception. This particular product comes with accessories that give you a wider range of options to select from. When it comes to power, The Cuisinart Power Advantage Plus 9-Speed Handheld Mixer model runs on a 220- watts motor. With this kind of power, it can perform even the most difficult functions with quick ease. Cuisinart has also equipped this model with a 9-speed control options. The speed ranges from a super low to a high speed. You can manually set the speed to the range you so choose. It has three slow start speeds that turn ingredients at a steady rate. When mixing, you can also comfortably adjust your speed settings while using your other hand to hold the mixing bowl. The Cuisinart HM-90BCS also comes with a digital timer set in a black LCD screen that displays the speed setting and time. The model comes with a longer whisk that makes mixing faster and easier, it also has dough hooks and spatula that makes it easy to clean up after mixing. There is also a latch release for the beaters. This holds them in place and keeps them from falling off. All you have to do is unlatch any of them whenever you need to use it. Additionally, the cords are longer and the angle can be oriented in any direction. When it comes to the storage area, this innovation from Cuisinart is fully equipped to meet your needs. Any home would love this feature. The Cuisinart Power Advantage Plus 9-Speed Handheld Mixer comes with a snap-on storage case, so you can easily store in the spatula, dough hooks, chef’s whisk, and cord. This creates more space in your kitchen and prevents accessories from being misplaced. Additionally, Cuisinart also offers an impressive three- year warranty that covers any errors made while manufacturing. This means you can actually get a part fixed or completely replaced within the 3-year range. The best part is their customer service is really warm and amazing. Other additional features that come with this model is the fact that it is lightweight and easy to maneuver. It is also beautiful to look at. you might experience some confusion when you first turn on The Cuisinart Power Advantage Plus 9-Speed Handheld Mixer, the motor will initially over-spin and then later come to the speed setting you selected. This means you have to be careful when you first turn it on to avoid making a mess or splattering ingredients. Cooks who value performance overall. Over spin when you first turn on and then later come to speed setting you selected. This is a very handy hand mixer that is not only powerful but also very efficient and practical. Among other mixers, this model really stands out because of the multiple speed options it offers. While other mixers are set with speed options ranging from 6, 9 to 12, the Breville BHM800SIL Handy Mix Scraper Hand Mixer comes with 16-speed options! You can easily set your speed options from light mixing to very high-speed mixing option. At the top of the handle, you can find the control panel. Here, you can find an On/Off button, a pause button, and a speed wheel. You can easily adjust the speed wheel with the same hand used to hold the mixer. This allows you to hold the mixing bowl with your other hand. The controls are easy to navigate and offers a great ease of access. The Breville BHM800SIL runs on a 200 watts motor, This means it can perform greater functions at higher power. Another impressive feature is its digital timer which is in three set in a backlit LCD screen making it easy to control the timing. It shows the speed on the left and the time on the right. It helps you know how long you have been mixing. No better way to be right on time! With accessories, this model is in no way lacking. The Breville BHM800SIL has standard beaters that come with a rubber scraper attached at the bottom. With this feature, the beaters can easily mix up batter even at the base of the bowl. They also do not make noise while at it. There are also whisk beaters which are cool for mixing those ingredients for making scrambled eggs or even whipped cream. Additionally, this model comes with standard dough hook beaters. You can find a trigger under the handle used for releasing the hooks. This model comes with a canister where all the attachments fit in along with the cord. This provides you with a clearer view of what is being mixed. It also has a heel rest so it can rest comfortably on your counter. The Breville BHM800SIL Silver Handy Mix Scraper Hand Mixer is very strong, well built and durable. It can perform multiple functions and can be used by both beginners and kitchen pro. Overall, it is a great tool when it comes to mixing and beating. 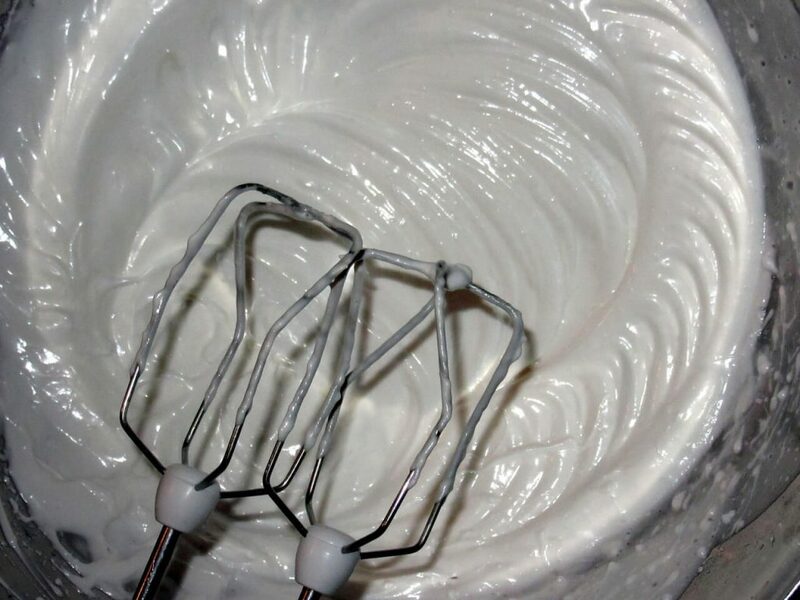 The only downside to this mixer is that it can be expensive for a hand mixer but when you consider the many advantages offered, it is really worth the price. Those who are not afraid to spend some cash for superior and powerful hand mixer. Underneath light for better view. Led display ( speed and time). Near silent on both low and high speed. Expensive for a handheld mixer. For sure you have heard before about the top rated kitchenaid’s stand mixer, but what’s about hand held one version? lets take a closer look at it. KitchenAid Hand Mixers come as very useful kitchen tools for mixing, blending, kneading and whipping your recipes. The 9-speed mixer combines your ingredients at one speed and, enables you to mix ingredients on various speed which is one of the importance of getting a hand mixer. This heavy duty hand mixer are flexible and are designed to meet your mixing needs. it comes with 2 Dough Hooks, 2 Turbo Beater™ II Accessories, Blending Rod, a Pro Whisk and a storage bag to neatly protect and organize the accessories. The 9-speed feature of this hand mixer helps in mixing ingredients from low stir to higher stir. Speed one combines ingredients for slow stirring, speed six is accurate for mixing bread batter and for creaming butter and sugar. Speed nine is for whipping the beaten egg whites and sugar (meringue). The speed rise till it reaches speed 9 to achieve a higher whipping. It has a soft start feature that serves the purpose of continuous adjustment which brings the beaters up continuously and gradually to the selected speed. This is basically to avoid splattering of ingredients. The speed is soft from the start and rises through to the desired speed. KitchenAid 9 speed hand mixer has a swivel lockable cord that makes it easy to access the ingredients in the mixing bowl from different angles and to avoid tangles. The swivel cord which is very handy is secured into either the right side or the left side of the of the mixer. This feature is very useful for left-handed people, it makes it easy for them to use the hand mixer. With its Stainless Steel The Turbo Beater ll are accessories, it can be used for mixing heavy ingredients like dough, cream or cake mix. They are made from Stainless Steel and are dishwasher safe. This model is featuring a Beater Ejector button which makes it easy to remove or eject accessories from the hand mixer by simply pressing the beater ejector button. For example, after the Stainless Turbo Beater ™ II has been used to mixed heavy ingredients, by pressing the beater ejector button, it can be removed quickly and easily. That’s not all, KitchenAid 9 speed hand mixers are cut out for easy cleaning as they are made with durable materials. There no difficulty in cleaning. These hand mixers are made smooth and easily cleanable materials. The round swivel cord can also be cleaned without fear of the mixer getting damaged. KitchenAid hand mixers come with comfortable handles that make you feel relaxed and help you to go on for as long as you. These 9 speed KitchenAid hand mixers are designed to create comfort with mixing ingredients. The hand mixers come with a comfortable handle to prevent fatigue after a long use. KitchenAid hand mixers mix at a great consistency but it can only serve the purpose of mixing, blending, whisking and kneading flour and sugar, it can’t be used to mix smoothies or puree fruits. It is not heavy duty. Any one who needs a bare bone electric handheld mixer at reasonable price point. Soft grip handle for comfort . some customers report the speed button placement and shape. The best rated KitchenAid KHM512ER 5-Speed Hand Mixer was released onto the market several years ago, and it continues to be one of the most popular mixers available around. Whether you cook and bake occasionally or often, you will be delighted with the convenience and versatility owning one of these fabulous kitchen appliances provides. The KitchenAid KHM512ER 5-Speed Handheld Mixer is equipped with a powerful 145-watt motor and automatic feedback, which kicks in with a surge in power when required. this feature packed kitchen appliance is an excellent buy. If you want to beat eggs, whip cream, mashed potato or mix thick, sticky dough, KitchenAid KHM512ER 5 Speed Mixer will be up to the task. Though its motor is heavy duty, the appliance itself is light and very comfortable to hold and operate, with one touch being all that's needed to switch speeds. And unlike as is the case with some hand mixers, this one really does have five distinct speeds, including three that are very low. The lowest of these is called Smooth Start. With Smooth Start even dry ingredients can be incorporated thoroughly without flying all over the place, making a mess. Coming with an easy to read button showing your selected speed, a counter rest which allows the mixer to sit securely on a kitchen bench and a cord that swivels, making right or left handed use possible, kitchenaid obviously had their customers comfort and convenience in mind when creating this wonderful appliance. Another feature purchasers love is the mixer's extra-long beaters, which are dishwasher safe. These have been crafted without center posts, making cleanup a breeze. The KitchenAid KHM512ER Hand Mixer comes in a range of beautiful colors including empire red, green apple, majestic yellow, onyx black and much more. With so many colors to choose from, there's certain to be one to complement the decor of your kitchen. Included with your Kitchenaid KHM512ER Hand Mixer is a 2 beaters which can be attached to the appliance in place. Compact at 8 x 3.5 x 6 Inch" and it has a 1-year hassle-free replacement warranty. Trusted small appliances brand, kitchenAid, have really come to the party with the KitchenAid KHM512ER 5 Speed Hand Mixer. You will find this very attractive looking mixer to be durable, reliable and extremely convenient to own. Any one who needs a powerful, robust and reliable hand held mixer without breaking the bank. It has 5 speed option combined with soft start , and that allows you to choose exactly what setting you want to use to process various ingredients. This hand mixer is very easy to use and user friendly along with affordable price. Quiet even at a maximum speed. Soft start feature to prevent ingredients from splattering. Come with 2 beaters only. The Hamilton Beach 62682RZ Hand held Mixer, can help you whisk your favorite dishes in a very short space of time and with minimum fuss. One of the least expensive hand mixers around and in our list also can be categorized under best affordable hand mixers, this low-priced mixer will come in handy when you need a bit of help in the kitchen. Equipped with 2 chrome beaters, one whisk and with 6 speed options to choose from plus a quick burst button, so you can increase the speed of the unit instantaneously and give a little boost to the whole mix and the best part about it, it can be used with any of the 6 speed options. It will make easy work off preparing sauces, dips, eggs and other small jobs, freeing up your time. We could all do with a little help in the kitchen, and this Hamilton Beach 62682RZ hand held mixer will give you just that. Whether you're making a cake, whisking eggs or mashing potatoes, this Hand Mixer will speed up the process, thanks to the powerful 250 watt motor. Ergonomically designed, it is comfortable to hold, so using it will not be a chore. And one of the best features in its design is the bowl rest which give you the maximum piece of mind that your counter is safe from any messy batters and allows you to take a pause to add your next ingredient or take a look at the recipe without wondering where to set the mixer. When you've finished mixing, the beaters can be removed very easily for cleaning at the touch of a button, making the entire food preparation process a lot faster and more enjoyable. The Hamilton Beach 62682RZ Hand Mixer is the perfect little mixer for preparing cake batter and beating eggs. With its simple, classic looking design, this mixer won’t take up too much room in your kitchen, and it will get the job done. With a one-year manufacturer’s warranty and the usual Hamilton Beach reliability, it will serve you well. Anyone who likes to cook and bake, but doesn't have the time or energy to mix everything by hand and don't want to spend a lot of money on a handheld mixer, this one is worth considering. It can easily be stored in a kitchen cabinet or cupboard due to its small size. Incredibly easy to clean, assemble and use. Comes with 2 beaters, 1 whisk and a storage box. Has 6 speed option plus burst button. Very portable due to its light weight. Not suitable for mixing heavy or very dense ingredients. Lowest speed option still too fast compared to other hand mixers. These hand mixers are definitely part of the highest ranked ones. They are lightweight and beautiful to look at. They also do not consume a lot of space. Although somewhat expensive, their great and extensive use makes them really worth the price. If you are considering getting a hand mixer, you should definitely check out these ones as they are able to carry out their functions in an efficient manner. Did I miss one of your favorite handheld mixers? Top Juicers For Making The Best Juice. If you are hesitating between hand mixer and stand mixer, hand mixer can beat, whisk, blend and mix many ingredients but it depends on its power, if you are a occasional baker and you don’t bake thick dough, a hand held mixer with power variation will be enough for you. A good hand mixer should have a minimum of 6 speed settings, and a soft start to prevent light weight ingredients like flour to splat over your kitchen, and enough fast speed to aerate the mixture. 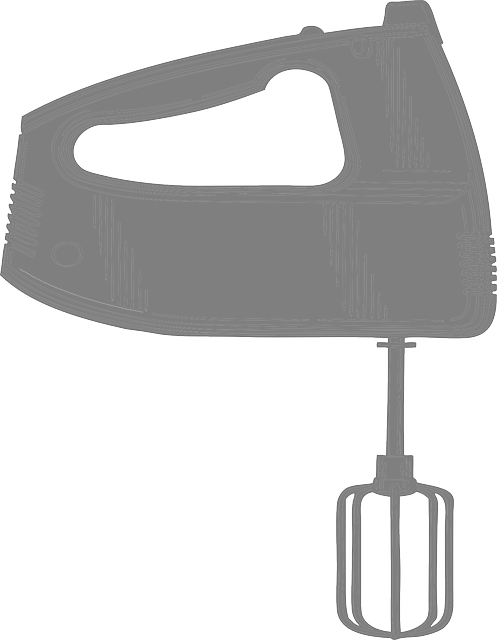 Consider a light weight yet sturdy hand mixer, so it wont strain your arm over a short period of time. The ideal weight for handheld mixers is around 2-4 pounds. *Stay away from parallel handles which are not comfortable to use and prone to break easily. Always check the handle quality before buying since you will be holding the hand mixer most of the time. Look for hand mixer models that features smooth surface to prevent any ingredients from being trapped and stocked in cracks and crevices. 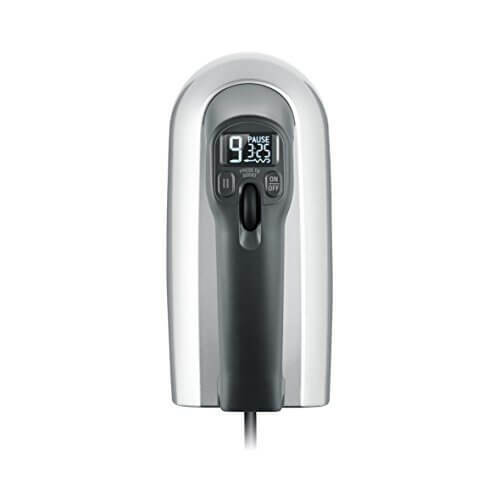 When it comes to hand mixers wattage is not the primer factor to look for, it is the RPM number of revolution per minute. A high wattage mixer with low RPM it may perform though tasks but it won’t able to follow through. Low end mixers RPM range from 200 to 540,while high end hand mixers may reach 10,000 RPM. How many speeds does the mixer have and how they work. Whipping egg white, cream butter, sugar mix and cookie batter.